Kiev did not take any steps towards fulfilling the Geneva agreements set during four-party talks between Russia, Ukraine, the EU, and the US on April 17, Russia’s envoy to the UN Vitaly Churkin said, adding that the West did not help either. 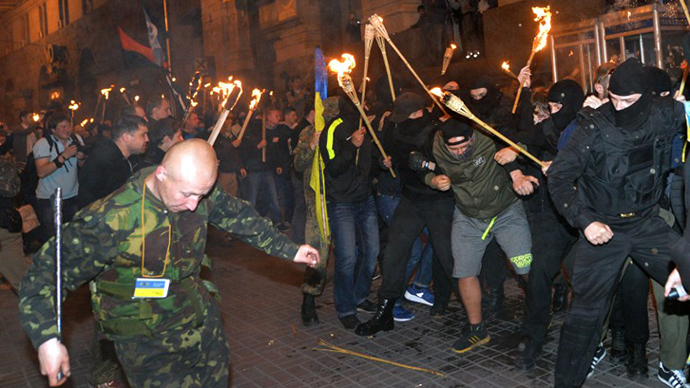 “Nothing has been done on behalf of Kiev’s authorities to implement the Geneva document. Our Western colleagues, primarily the Americans – who now have an unprecedented influence over Kiev – could not or did not want to convince Kiev to fulfill its obligations under the Geneva agreement,” Churkin said during the UN Security Council meeting in New York on Tuesday. Addressing the meeting, US Ambassador to the UN Samantha Power accused Russia of stirring up trouble in eastern Ukraine and undermining the government in Kiev. 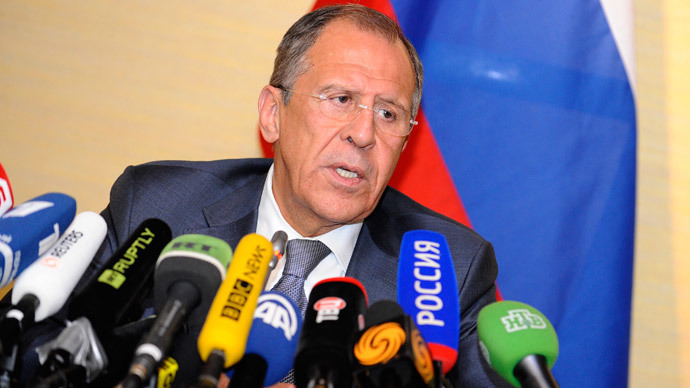 “Russia continues to fund, to coordinate, and to fuel the heavily-armed separatist movement," she said. Churkin denied the claims and added that if the situation in Ukraine deteriorates, the West should comprehend its level of responsibility in the matter. 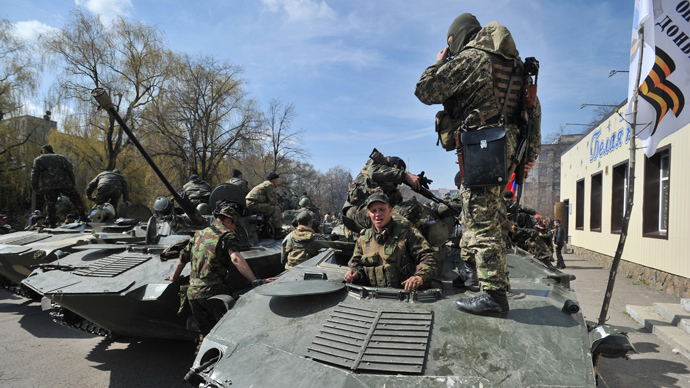 On April 17, Russia, the US, the EU, and Ukraine adopted a joint document on the de-escalation of the Ukraine crisis, calling for all illegal armed groups to lay down arms and for a wide amnesty for detained protesters. “On the contrary, these groups have been granted legal status, and [have been] used to form the paramilitary battalions 'Dnepr,' 'Slobozhanschina,' and ‘Donbass,'” he said. According to Churkin, Kiev’s Independence Square is still being occupied, even though that is in violation of one of the items in the Geneva agreements. “Nobody is vacating anything in Kiev, while Washington is complacently claiming that the buildings are being ‘legally rented out,’” he stated. The Russian envoy to the UN also highlighted that repressions against those disagreeing with Kiev’s coup-imposed authorities are continuing, adding that there has been no amnesty for arrested protesters. 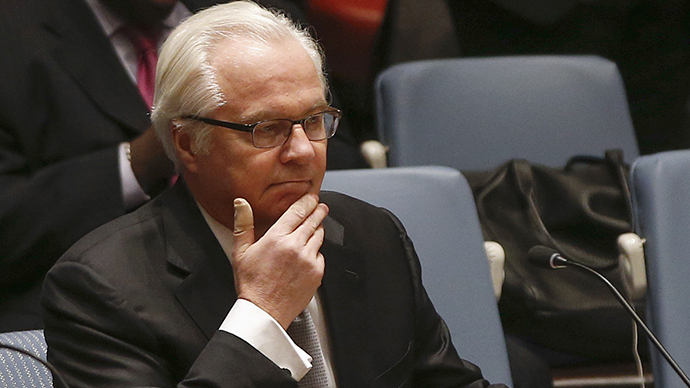 Churkin stated that the current Ukrainian regime, supported by the West, is pushing the country towards a catastrophe. He also criticized other states which have claimed that Russia is not doing its part to influence protesters in southeastern Ukraine. “How can you convince the militias in the east of the country to disarm or leave the buildings if they are surrounded, like in Slavyansk, by Ukrainian armed forces and the so-called ‘National Guard’ units, entirely consisting of Right Sector militias?” he said. In addition, Russian President Vladimir Putin on Tuesday claimed the US has been behind the Ukrainian crisis from the beginning, but was initially flying low. He added that if sanctions continue, Russia will have to reconsider who has access to key sectors of its economy. “I think what is happening now shows us who really was mastering the process from the beginning. 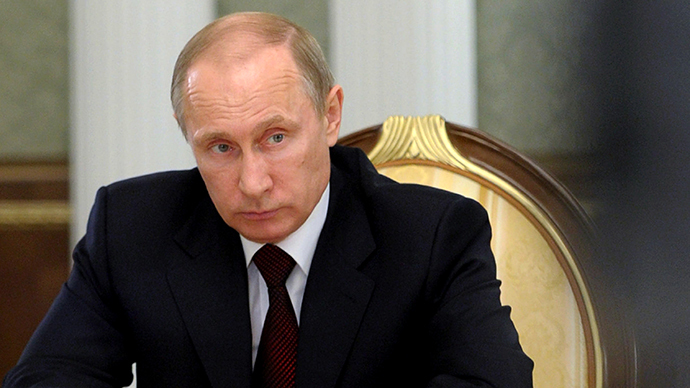 But in the beginning, the United States preferred to remain in the shadow,” Putin said, as quoted by RIA Novosti.